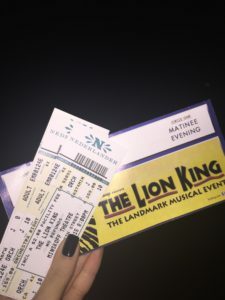 During my time in New York City, I knew there was one expeience I could not miss – and that was to see The Lion King musical on Broadway. Unless you have been living under a rock (pride) for the last two decades I am sure you know exactly what The Lion King is about. The Broadway show is adapted from the 1994 Disney classic film of the same name, with dialogue and music pulled directly from the movie. Located in the Minskoff Theatre, conveniently across the road from our hotel, and you can catch a show every day. Book in advance to ensure availability. I’m convinced we just got lucky as we only booked our tickets that very evening and we somehow managed to snag seats a couple rows from the front! The show debuted on Broadway just three years later in 1997 and has since gone on to win 6 Tony Awards, a Grammy and over 70 major arts awards. In September 2014 the show reached 7000 performances on Broadway and in 2015 three big Disney fan’s sat down to watch their first ever Broadway show (hint – me, my mom, & cousin). 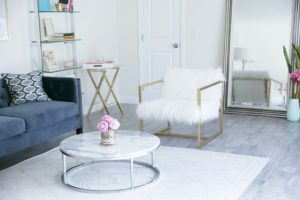 The story follows very closely to, if not exactly the same, storyline that we have all come to love from overplaying our VHS-and–then-DVD copy of the movie. The story is beautifully adapted to the stage and it’s hard not to get engrossed in the play with characters walking right past you in the aisles and the clever uses of costumes to present the flora and fauna before you. It really is very interactive and you can’t help but feel submerged in the Disney sahara. 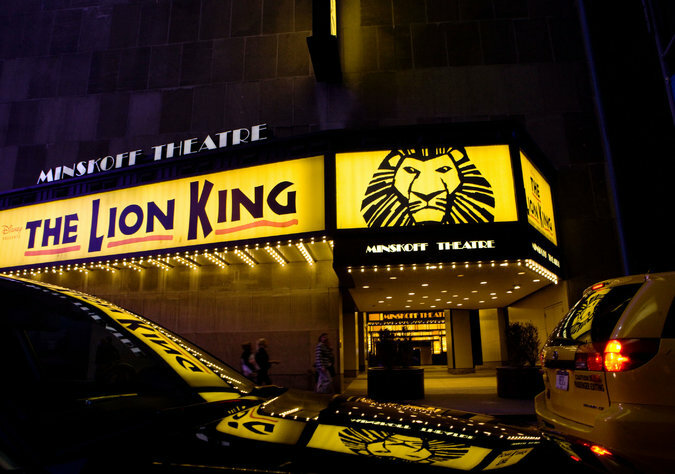 If you enjoyed the story of Simba the first time you saw it, you will most definitely enjoy it on Broadway. 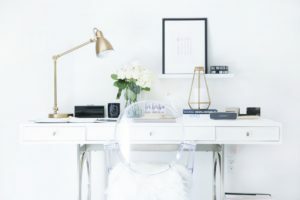 The only downside to this is that you know it all – the beats, the pauses and the twists – there are no surprises. One of the more intriguing parts of the play were the set pieces. I did wonder, prior going into the show, how they would recreate specific scenes on a theatre stage. One of the more pleasant surprises was the wildebeest scene which was a highlight of the production as it used a clever scrolling background and most of the cast to make it a very epic scene. The costumes were very interesting and ranged from puppetry extensions to provide extra length to certain animals as well as giving grandiose masks to Simba and Scar to make them stand out. The opening howl of the Circle of Light, which roars through the theatre when the lights go down, brings a flood of memories from your childhood. It was hard not to sing along with all the classic songs, and this makes the night very enjoyable as you can recite just about every lyric. You know the performances were great when you started to forget that the cast were humans playing animals. I imagine it to be quite a hard task for an actor to take on the shoes of some of the most iconic characters – but I can confirm that The Lion King on Broadway has great acting and especially great singing. There were a few notable differences to the movie including the changes of Rafiki to a female which was done to introduce a strong female character into the mix. There is also a new scene where Zazu and Mufasa talks as well as a scene of Timon falling down a waterfall as Simba helps him out. One scene that stood out involved Scar trying to make Nala his mate. This happens right before she leaves pride rock and you see the scene of her bumping into a grown Simba (cue: Can you feel the love tonight). The Lion King musical is a great starter to the theatre world as the familiarity can give you a very enjoyable night out. If you are a Disney fan or theatre fan it is hard not to recommend going to see the show. If you don’t like theatre – why not give it a try. Price: $159 per person for row J in the Orchestra section. We stayed in the New York Marriott Marquise Hotel, which is located right on Broadway. We purchased our tickets direct from the Hotel as they had a Broadway concierge service. Overall a wonderful experience that I would do again!